Google will Reportedly Merge Android and Chrome OS in 2017 | Android News at HighOnAndroid.com! For years many have wondered why Google continues to develop both Chrome OS and Android when the latter could be easily modified to run on a small laptop just as it does on tablets. Today a report has emerged from the Wall Street Journal which indicates Google has apparently wondered the same thing. Not only has Google considered the possibility of only using one operating system for all platforms, but plans are reportedly in place for Chrome OS to be folded into Android by 2017. According to WSJ, Google engineers have been working to merge the two operating systems for the past two years at least. Apparently there may be a preview of the new combined OS as early as mid-2016. This move makes a lot of sense given that Chrome OS has a much smaller community of 3rd party developers behind it when compared to Android. With a single OS, developers will be able to make applications for multiple hardware platforms. One thing that concerns me a bit is that Android still has a limited suite of apps available for native tablet use. 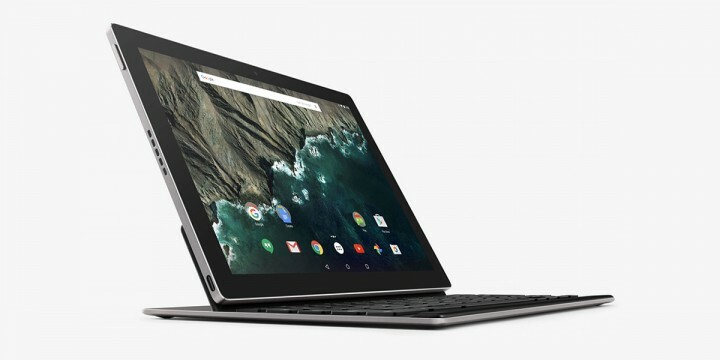 Perhaps combining the OS development projects at Google will also allow a more complete pursuit of Android tablets that can compete with the iPad in app availability. Indeed, this possible merger makes some sense out of the recently introduced Pixel C. Many were confused by the introduction of this Pixel tablet running Android instead of Chrome OS. Perhaps we will see the first tests of Google’s merged vision on the Pixel C sometime next year. What do you think about Android and Chrome OS merging? Will it be good for Android? Do you care about a laptop running a modified version of your favorite mobile OS? Hit me in the comments with your thoughts!